My 10 year old asked for pumpkin pie for his birthday this year and that’s what we did. 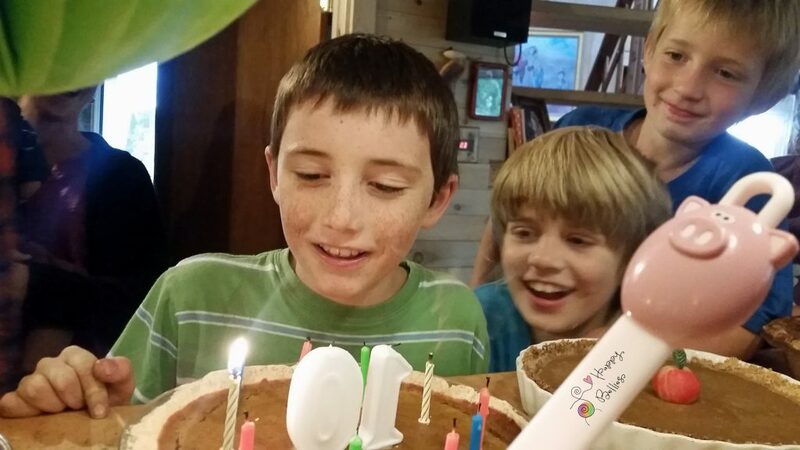 The challenge was to make a yummy pie for a kid who can’t eat gluten, nuts, dairy, or flour. As a family, we practice food combining and avoid sugar so this was taken into consideration. What I came up with was a no-bake pumpkin filling smoothed into a baked pumpkin seed crust. This recipe is free of the most common allergens (i.e. dairy, eggs, nuts, gluten, peanuts, soy) and is a B.E.D.-friendly for those on The Body Ecology Diet. 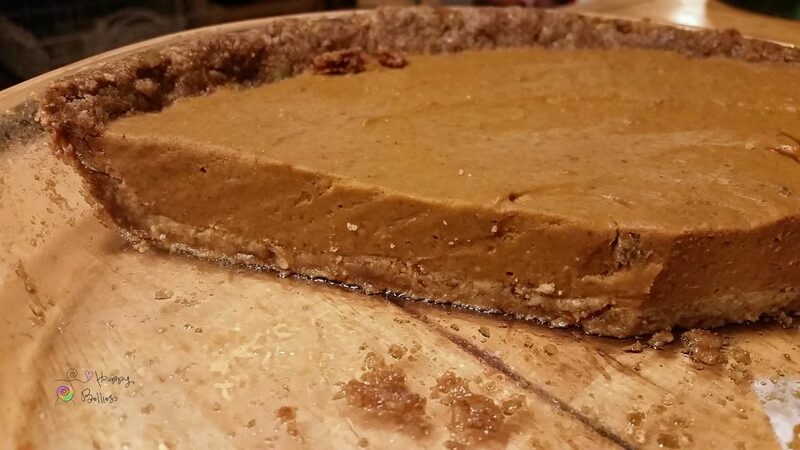 If you have transitioned into stage 2, here is the recipe for my pumpkin pie with almond crust. Grease a 9-inch pie pan with a bit of coconut oil. Mix crust ingredients in a bowl and press into pie pan. Bake the crust for 10-15 minutes, removing as it starts to brown. While the crust is baking, combine all the pie filling ingredients (except the kuzu) in a heavy-bottomed pan. Over a low flame, bring the mixture to a gentle simmer, stirring occasionally with a whisk. Let simmer for 5 minutes or until the agar agar has dissolved. Add in the kudzu that has been pureed in a 1/4 cup of cool water and return to a simmer to heat until thick, about 2 minutes. Pour and smooth the filling into baked pumpkin seed pie crust or heat-resistant individual custard cups and chill. Garnish with pumpkin seeds and top with cultured cream. For an easy-to-digest and more healing food, soak/dehydrate pumpkin seeds prior to grinding them. For additional fat, you can add 2 Tbsp. coconut oil into the filling. The filling makes a wonderful custard, just pour filling into custard cups and top with cultured cream and a sprinkle of cinnamon. Substitute 2 egg yolks for the chia seeds in the crust, if you tolerate them. Have you transitioned into stage 2? Here is the recipe for my pumpkin pie with an almond crust. *It’s best to limit or avoid kuzu root if you are experiencing diarrhea or abdominal pain.